“Action research is a systematic approach to investigation that enables people to find effective solutions to problems they confront in their everyday lives” (Stringer, 2014, p. 1). In the context of TE 670.601: Teacher Research & Inquiry, action research involves the investigation of your practice as a teacher. It is a form of critical self-inquiry and reflection, both of which are instrumental to your continued growth in the teaching profession. Unlike other forms of research, action research is not predicated on generalizable results. In fact, it presupposes that some contexts or groups are not appropriate for generalized solutions (Stringer, 2014). 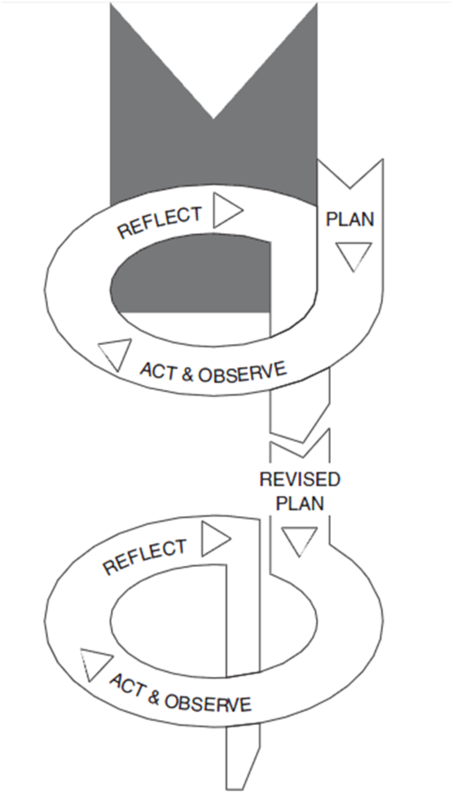 Thus action research serves as a systematic method of investigating and designing effective solutions to complex issues found in social settings, such as the classroom or school. Stringer, E.T. (2014). Action Researcher. Thousand Oaks, CA: Sage. Kemmis, S., & McTaggart, R. (2000). Participatory Action Research. IN Denzin, M., & Lincoln, Y.(Eds.) Handbook of Qualitative Research. Thousand Oaks, CA: Sage. Each journal has unique submission requirements for publication. These requirements are often easily found by searching for the name of the journal and "submission requirements" within an Internet browser. Some examples of journals in action research are listed below. Look for submission requirements on the homepage. Remember to access the full text articles from each journal you should use the Journals tab on the library homepage.